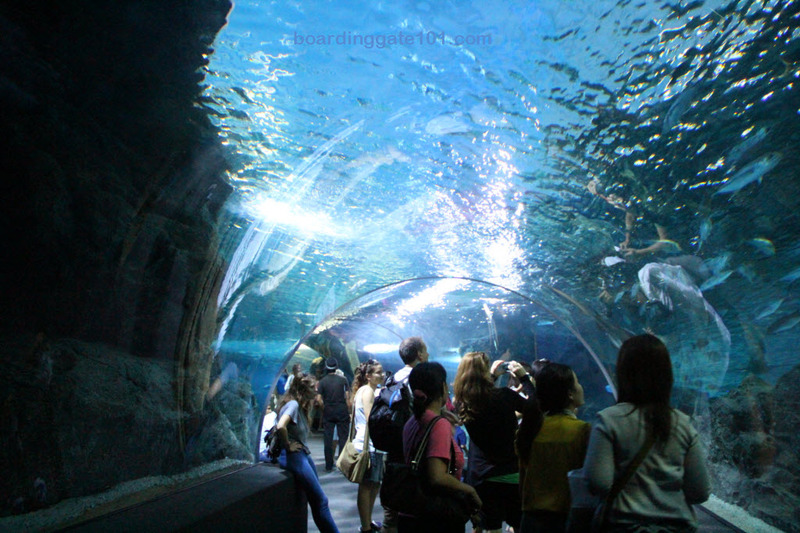 Nestled below the posh Siam Paragon mall in Sukhumvit, Bangkok is the Siam Ocean World oceanarium. It is one of the largest in Southeast Asia, just a tad bigger than the Manila Ocean Park, at 10,000 square meters. 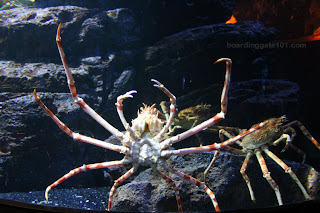 I visited the oceanarium on my third visit to Bangkok, during the food tour. 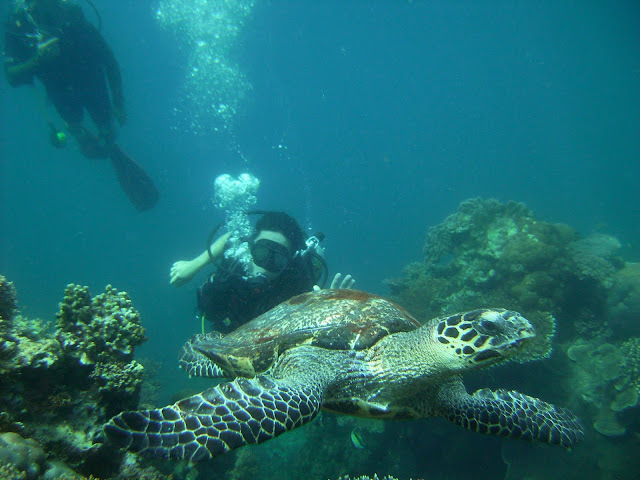 The aquariums were grouped into zones, seven in all: Weird and Wonderful, Rain Forest, Deep Reef, Rocky Shore, Living Ocean, Open Ocean, and Jellies. 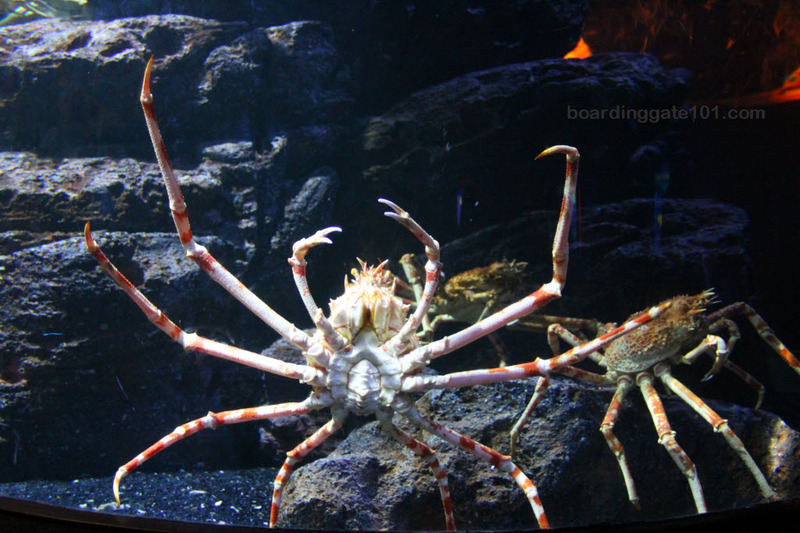 The Weird and Wonderful section contain several cylindrical aquariums housing weird creatures, such as the giant spider crabs, sea horses of all shapes, and mollusks that somehow resembled Admiral Ackbar of Star Wars. The Rain Forest also has its share of strange animals, not just fishes. 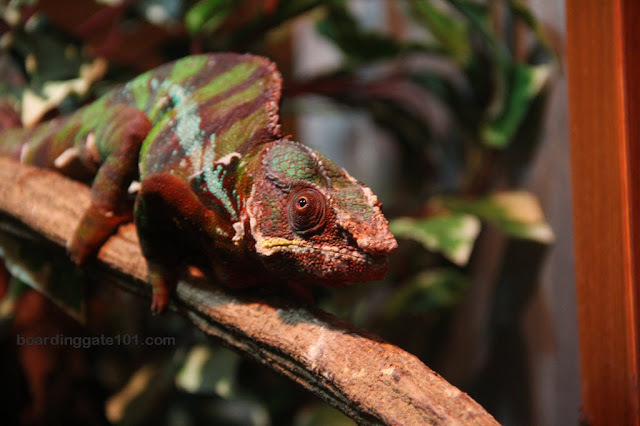 I was particularly fascinated with the lung fishes, some albino-colored cave fishes with two hind legs, some rodents that swim, and a chameleon, staring at the onlookers with its multi-colored eyes. The Deep Reef, containing large tanks, are populated with a multitude of fishes, swiming around the artificial corals and rocks set in the aquarium. Penguins and other marine animals populate the Rocky Shore. Midway through the exhibits we entered a room to board glass-bottomed boats to observe the fishes from a different angle. We were also able to see the machineries that responsible for the upkeep of the aquariums, and we saw where they are breeding some of the fishes and shells. After taking the glass-bottomed boats, we went through the 270-degree acrylic underwater tunnel to the Open Ocean, where sharks, stingrays and groupers abound. 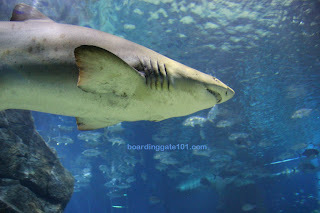 The size of the aquarium was impressive, but the number of shark species and sharks were a bit of a letdown (Manila Ocean Park has more sharks). I did enjoy the last part before we exited - the jellyfishes. 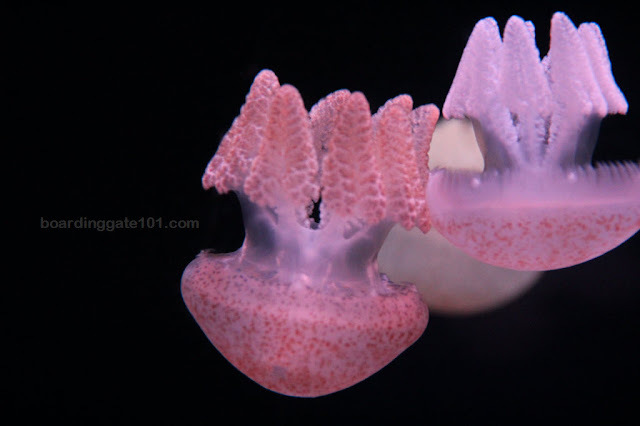 I'm allergic to jellyfish stings in real life, but I find them fascinating. Seeing them in LED-lighted aquariums is the best way to observe them, as it removed the possibility of being stung. But it's a biatch to take pictures of them. It took Arvy several tries to take that picture of the jellyfish above, and all my efforts turned out to be blurry blobs. There are other activities in the Siam Ocean World that we didn't do, such as disturbing the starfishes in the "petting zoo," feeding the sharks and otters, having fishes eat our foot callouses in the fish spa, and scuba diving in the aquariums to encounter the sharks. Siam Ocean World is located at the basement of Siam Paragon mall. It is accessible using the BTS Skytrain - get off Siam Station and take Exit 5 to the mall. The oceanarium is open from 10 am to 9pm, last entry an hour before closing. Price for adults is 900 baht, 700 baht for children. Mapun? Where is that?” I get this question a lot when people ask me about my hometown. I’d ramble on and on the island (its location and the culture and the pretty spots...) but since the place is not really in any of the Philippines tourist spots and is in the middle of nowhere, I might as well talk about Atlantis instead. But the island does exist. 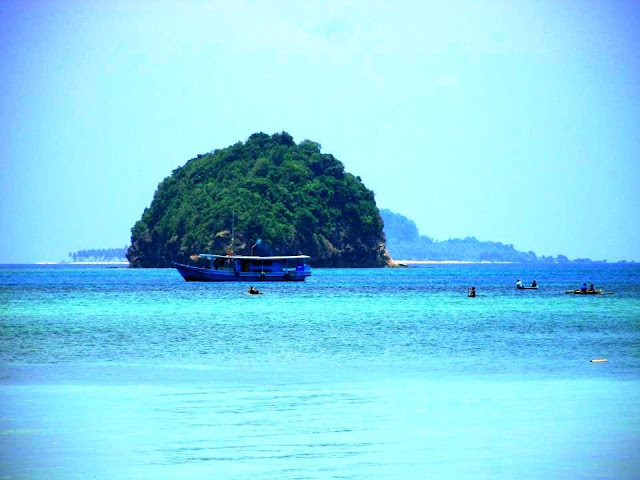 Mapun Tawi-Tawi or Cagayan de Sulu) is an island municipality in the Sulu Sea on the southwestern extreme of the Philippines, located very close to Sabah. Or from the way I see it on the Philippine map, the island is located on the Philippine’s “armpit”. One of the main reasons why I am always drawn to museums when I travel is that I would want to see, in real life, the fascinating things that I've only read in books or have seen in the films, such as archaeological artifacts or the paintings of Van Gogh and Dali. Museums give you access to all that. I majored in History when I was an undergraduate in the University of the Philippines. As such, I am always excited to see artifacts and historical curiosities that I encounter during my travels. 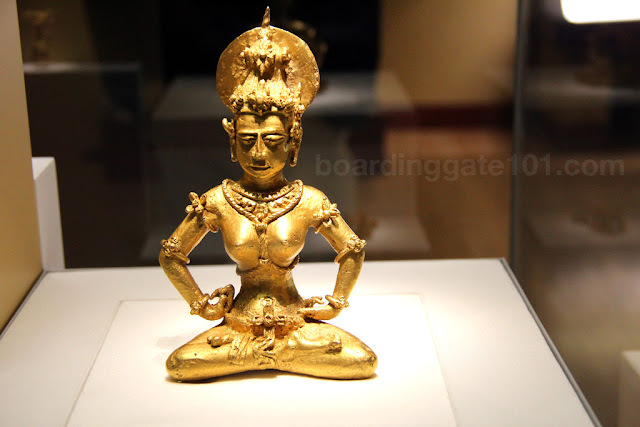 But sometimes, they also make me sad, like when I saw the Golden Tara of Agusan in the Field Museum in Chicago.